There are many different fish oil supplements available on the market. When choosing the right supplement, consider the product effectiveness, cost, quality, and consumer reviews. According to WebMD, fish oil has been used to prevent heart disease, promote bone and joint health, combat depression, support cognitive health, and even slow down the aging process. Fish oil is rich in Omega 3 fatty acids, which are linked to support of cardiac and systemic health. 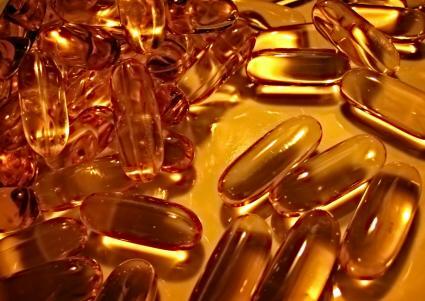 The January 22, 2014 edition of The New York Times published a report done by an independent laboratory that ranked Dr. Tobias Optimum Omega 3 number one in quality compared to other fish oil supplements. This supplement is highly purified to remove all contaminants. The enteric coating prevents a fishy taste, making this more palatable than other supplements. Each capsule contains 1400 mg of Omega 3 fatty acids. Amazon.com gives these supplements 4.6 out of 5 stars based on consumer reviews. The product can be purchased through Amazon for around $32 for 180 capsules. Axis Labs Citrus Omega Fish Oil is ranked in the top ten in quality according to an independent study conducted by LabDoor.com. 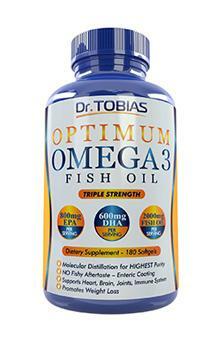 Each high potency capsule contains 1000mg of Omega 3 fatty acids. The capsules are citrus enteric coated to improve taste. This product is 100% purified and free from heavy metals and other contaminants. Bodybuilding.com gives this product 8.3 out of 10 stars based on consumer reviews. The product is available from Axis Lab's website for around $28 for a bottle of 120 capsules. 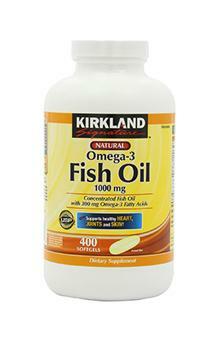 This supplement was named best low cost fish oil supplement according to a 2010 study conducted by ConsumerLab.com. The molecular distillation process used in production removes impurities and delivers a high potency supplement. Each capsule contains 300 mg of Omega 3 fatty acids. The product received 4.1 out of 5 stars based on consumer reports from Costco.com. The product is available at most Costco stores or on their website for around $12 for 400 capsules. 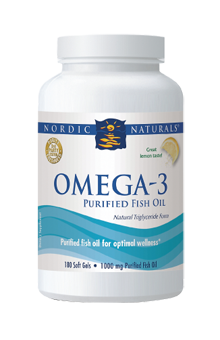 Nordic Naturals Omega 3 has been featured in over 20 published studies supporting superior efficacy of the product. This supplement goes through independent, third-party testing to ensure purity. The capsules have a pleasant tasting lemon flavor which masks any fishy taste. The recommended dosage is 2 capsules daily, which contain 1280 mg of Omega 3 fatty acids. This supplement earned 5 out of 5 stars on VitaminShopp.com based on consumer reviews. The capsules can be purchased through the company website for around $18 for 60 capsules. The extensive purification process ensures this product is free of heavy metals and contaminants. The enteric coating allows for elimination of a fishy taste. Each serving provides 900 mg of Omega 3 fatty acids. GNC Triple Strength received an A ranking and was in the top ten fish oil supplements according to an independent study conducted by LabDoor.com. Consumer reviews on the GNC website give this supplement 4.6 out of 5 stars. The product is available at local GNC stores or on their website for about $27 for 60 capsules. A daily supplement of fish oil may be a healthy addition to your diet and lifestyle. As with any supplement, you should consult with your health care provider to determine what works best for you based on your lifestyle and health history.